Danish designer Nina Tolstrup founded Studiomama in 2000 with husband and design collaborator Jack Mama. True to Nina’s Scandinavian roots, simplicity and integrity are the trademarks of her work; a pared-down, contemporary but characterful aesthetic combined with a democratic belief in good design for all. A passionate belief in designing for the real world go a long way to explaining the timeless and unpretentious qualities of the studio’s work. But whilst Studiomama’s work can be simple, honest and minimal it is always playfulness, releverant and humorous. Studiomama has pioneered open source by pushing the limits of material recycling, extending product life and exploring new forms of up cycling, whilst simultaneously challenging conventional business models and distribution methods. Nina’s curiosity for new challenges has resulted in an incredibly diverse portfolio (furniture, electronic products, jewellery, glassware, exhibition-design, NGO collaborations, interior and architectural projects), all realised via novel processes, technologies and materials. Studiomama’s passion for variety gives her an extraordinary broad perspective evidenced in a daring, influential and socially relevant body of work. 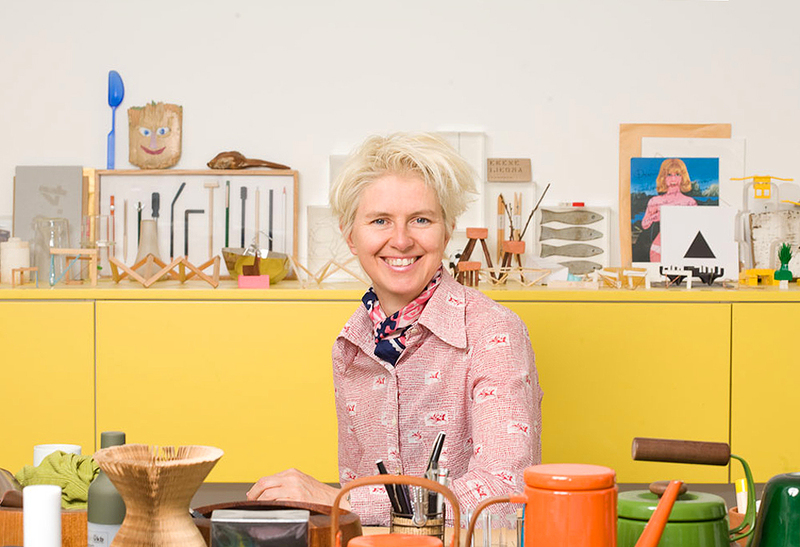 You can see an interview with Nina on the Herman Miller life work blog. Read the interview.